A closer look at the Old Bear. 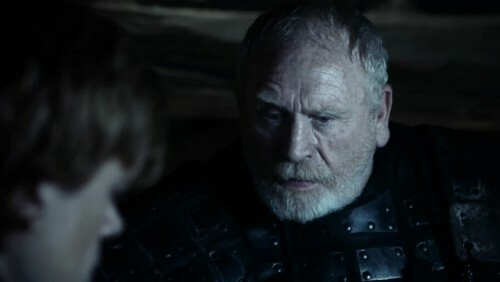 Most will remember James Cosmo best from his role in Braveheart as the tough, irascible Campbell the Elder. As he noted to reporters at Magheramorne, he’s also worked with Sean Bean before… though ironically, Bean killed him in that particular film (Troy, which happens to have been written by David Benioff).